The Cross View Horse Show series continued last weekend at Green Hill Park Equestrian Center with a two-day horse show. Saturday featured hunters/jumpers and Sunday featured an all-breed open horse show with a special division of gaited horses. The Cross View series is a great show for all levels of riders looking for a well-run show with a low-pressure, community atmosphere. Along with the competition, vendors also camped out in the grassy section between the two arenas. Green Hill Equestrian Center offers three arenas with dirt footing. There is a large field across from the arenas for easy trailer parking, even for the largest of rigs. There also limited stalls available. The Green Hill venue does get hot in the summer with limited shade, so bring your pop up canopies or consider arriving early to secure a spot near the woods. The show moves along fairly quickly. On Sunday, the gaited horses and model/showmanship started the show in separate arenas. The gaited portion was completed by 11 a.m and featured Rocky Mountain Horses, Tennessee Walking Horses, Saddlebreds and Peruvian Pasos among the horses shown. See a photo you love? Photos taken at the Cross View Horse Show can be purchased online by clicking here. Turnout was good considering the heat in July. Youth classes were particularly well attended with 10-15 in the youth pleasure classes. However the adult classes on Sunday weren’t as well attended and the English pleasure division had just one adult showing this time. Classes run $9/class. Cross View would hold the last show in its 2017 series on Sept. 23-24 at Green Hill Equestrian Center, where it will crown the high point winners for the entire series. Below are a sample of photos from the weekend. 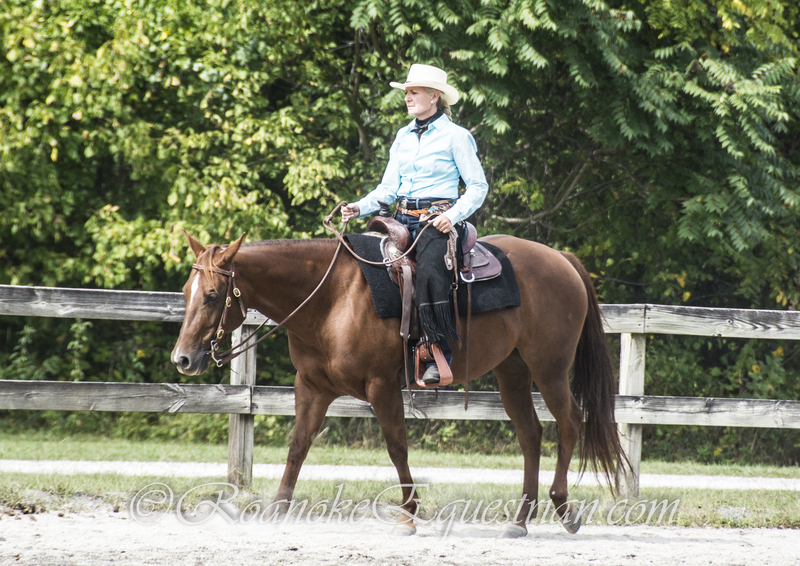 These photos and many others are available for purchase at roanokeequestrian.smugmug.com. Madison Martin, 15, of Evington, Virginia, is the definition of a well-rounded individual, excelling in academics, the community and the horse show industry. Martin was recently named the 2017 AJPHA (American Junior Paint Horse Association) Youth Member of the Year and has been named secretary of the AjPHA Executive Committee. Youth Member of the Year is presented annually at the Youth World Show to an AjPHA member who exemplifies commitment to service and their community, scholastic achievement and leadership. The award is not given based on show-ring merits, but rather to a person who embodies the spirit of AjPHA and has a deep love for and involvement with Paint Horses. Winners receive a $1,000 scholarship and a custom Gist Silversmiths trophy buckle. Beyond her involvement with the Paint Horse industry, she is also a leader in her local 4-H and Pony Club where she has been actively involved for five years. Outside of equine activities, Madison is a member of French Club, Fellowship of Christian Athletes and plays basketball. Going into her junior year of high school, she will begin to take dual-enrollment courses and earn college credits. She aspires to attend law school and is on the fast-track to that goal by taking an Introduction to U.S. Law class this summer at the College of William & Mary Law School. Volunteer work is very important to Madison. In 2016, she served as Senate Page for the Commonwealth of Virginia and volunteers in Sen. Steve Newton’s office. She gives back to her community by participating in trash pick-up days and is a volunteer for her children’s ministry at her local church. Tad Coffin of Tad Coffin Performance Saddles will visit Virginia Tech at 1 p.m. on July 19 to demonstrate the neurological benefits of his new saddle tree technology, SmartRide Rx. The technology has demonstrated consistent ability to reduce back pain, stress and anxiety in many horses. Participants with horses will be able to watch Tad use his saddle technology on their own horses and/or have an opportunity to try it themselves. 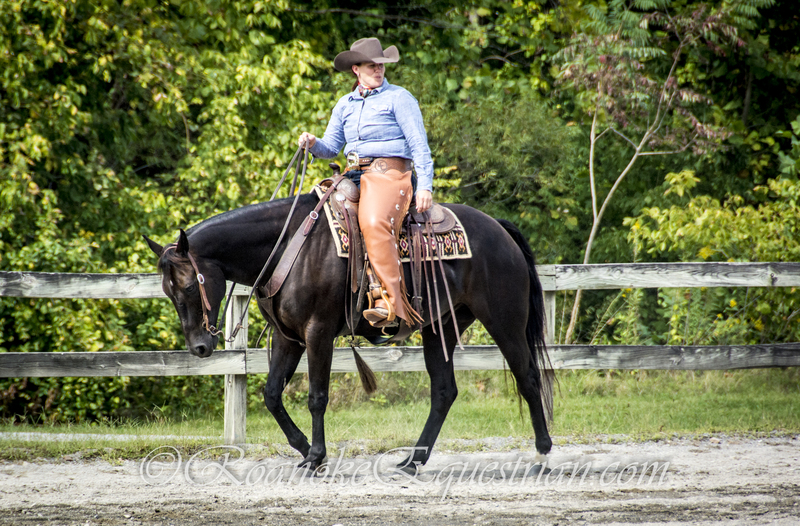 The Roanoke Shenandoah Valley Horse Show returned to the Virginia Horse Center on June 21-25. And while high-steppin’ horses took to the Coliseum to compete for top honors, there were no high jumps in a chase for a title. 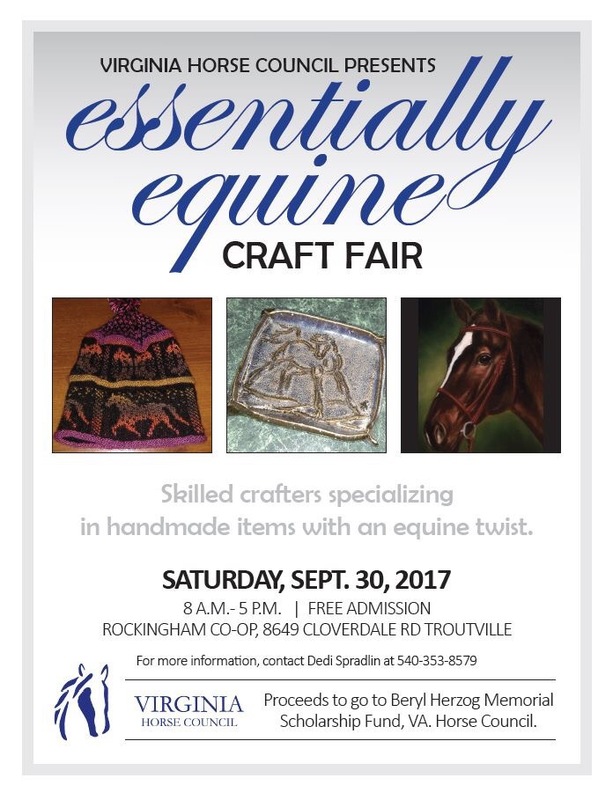 While technically this is a continuation of the show once run by the Roanoke Valley Horseman’s Association at the Salem Civic Center and hosted by the Virginia Horse Center in 2016, the show is now under new management, R.H. Bennett, of Shelbyville, Kentucky. The 2017 show was a very different affair than what fans will remember from 1972-2014. The hunter/jumper classes that were at the heart of the multi-breed Salem show are no more. Nor are the barrels or Western classes that were traditionally held on Monday. And fans would not find a Grand Prix of Roanoke to cap the event on Saturday night. This year’s show showcased only American Saddlebreds. The show, begun in 1972, has been granted United States Equestrian Federation designation as a USEF Heritage Competition. The designation is only given to those competitions that have made substantial contributions toward the development of the sport, promote and practice equestrian ideals of sportsmanship, and have been established for a long period of time. For 2017, there were 103 classes. Horses come from far and wide with 23 states represented. Spectators were admitted at no charge. The Salem show sold tickets to its evening classes. During this year’s competition, Ceil Wheeler and her own Callaway’s Brioni took home the championship in the ASB Ladies Five Gaited Championship. The reserve champion was presented to Phyllis Brookshire aboard Man on the Move. Suzanne Wright and Fort Chiswell’s Wild Kiss earned the ASB Five Gaited Show Pleasure Adult championship, with the reserve championship going to Jennie Garlington riding Kalarama’s New Moon. The win in the ASB Fine Harness Jackpot went to Larry Hodge aboard Trust My Imagination, owned by Hillcroft Farm. Hodge also took home the win in the ASB Five Gaited Jackpot, this time aboard Two Sweet to Kiss. The ASB Five Gaited Jackpot was dedicated to Matt Shiflet’s grandfather, Claude Shiflet, a trainer whose family has been coming to the Roanoke Valley Horse Show from the beginning. The Shiflet family was honored before the class.